The rumours are true. For a limited time NVIDIA are teaming up with Konami to offer the latest episode of the Metal Gear Solid franchise free to those who opt for a new GeForce GPU this summer. NVIDIA now have something of a tradition of partnering with publishers to bundle some of the best upcoming Triple-A titles with NVIDIA graphics cards. The latest well received offer was Witcher 3: The Wild Hunt, whilst prior to that major titles from the likes of Ubisoft added value to the the already class-leading GeForce product line. Metal Gear Solid V: The Phantom Pain is the long awaited sequel in the best-selling MGS franchise, and one of the rare installments to be released on PC. A prequel chapter - Ground Zeroes - was released in December 2014 and proved to be an excellent port to the PC. 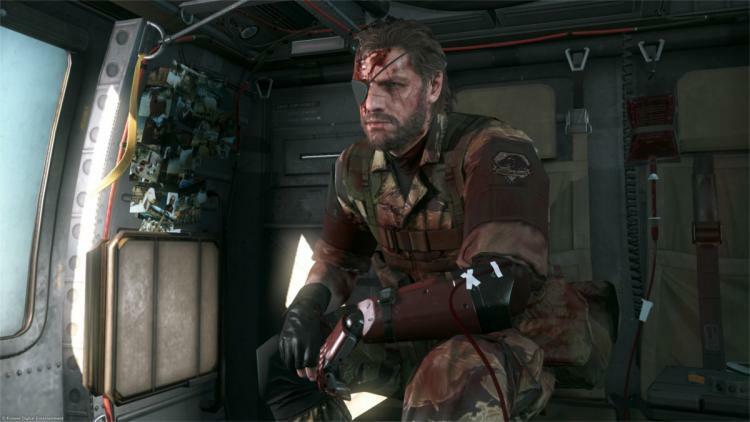 NVIDIA are working with Konami to ensure that MGSV on PC is the best it can possibly be when released later this year, as well as add a little more value to GeForce customers. Discrete graphics cards based on NVIDIA's GTX 960, 970, 980 and 980 Ti bought from today from participating retailers will all include a redemption code for one copy of Metal Gear Solid V: The Phantom Pain, redeemable at https://redeem.geforce.com/. Those who would prefer a more mobile option can instead opt for a laptop with GTX 970M/980M graphics. Upon redemption a Steam code for the game will be shipped to you (when available) ahead of the game's official release date of 15th September 2015. MGSV: The Phantom Pain will be compatible with NVIDIA's exclusive Shadowplay, G-SYNC, GeForce Experience and GameStream technologies. Currently it doesn't appear that proprietary technologies from NVIDIA's GameWorks program are a part of the game's core engine. For more information visit the bundle page on NVIDIA's website.